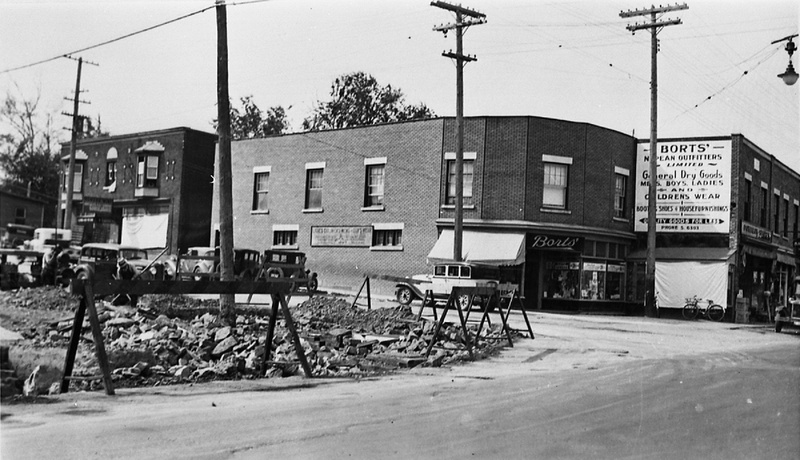 This photo from 1935 shows the original businesses on this corner, but also highlights the 14′ that would get sliced off the front of this building 1939. It also shows the curved corner, as it still stands today, which was the creation of Benjamin Bodnoff. Photo courtesy of the City of Ottawa Archives, CA-7611.